My day today was spent waiting for a surprise delivery from our favorite Fried Chicken Fast Food Chain. Word of advice: When someone from KFC tells you that they're coming over to bring their Top Secret new product for you to try before the general public, you clear your schedule and your wait by the door. Well, here it is, my friends.. 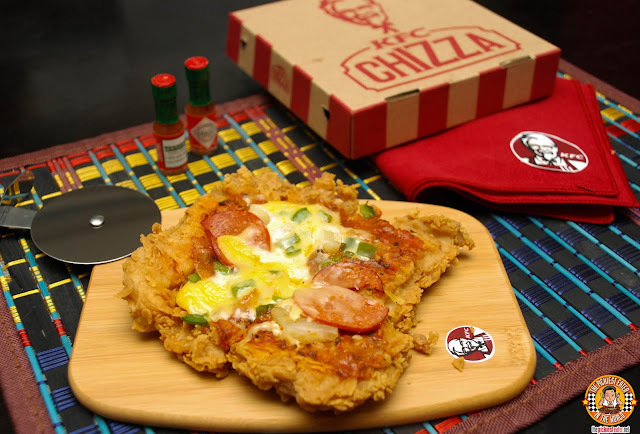 The newest addition to KFC Philippines Menu.. 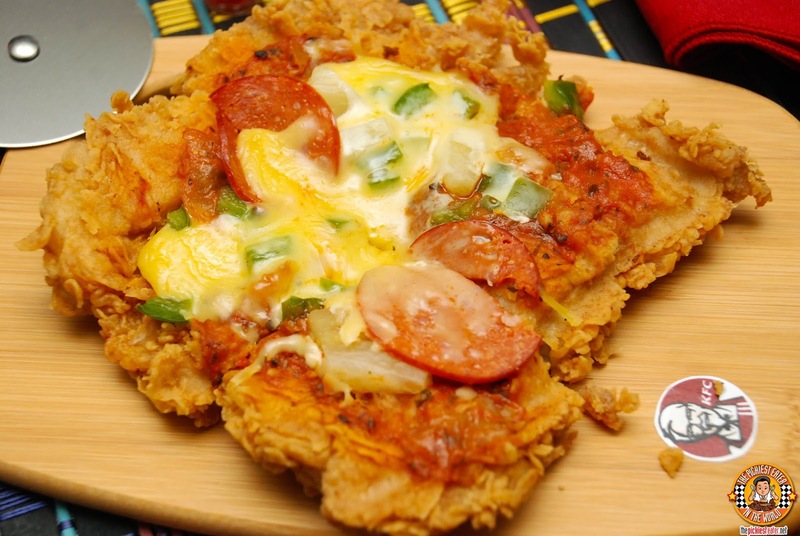 The KFC Chizza takes KFC's Fried Chicken Fillet, and tops it with a rich tomato sauce, minced Bell Peppers, Onions, Pineapple Tidbits, Pepperoni Slices and blanketed in melted cheese. 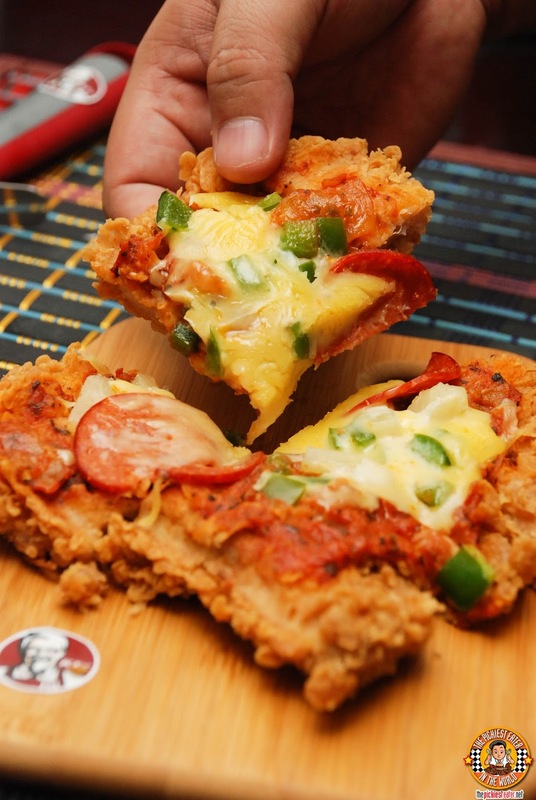 Much like how the "Double Down", eliminated the Carbs by using chicken fillets as buns, the Chizza eschews the need for a pizza crust and instead, uses the crispy fillet as its base! Does it work? 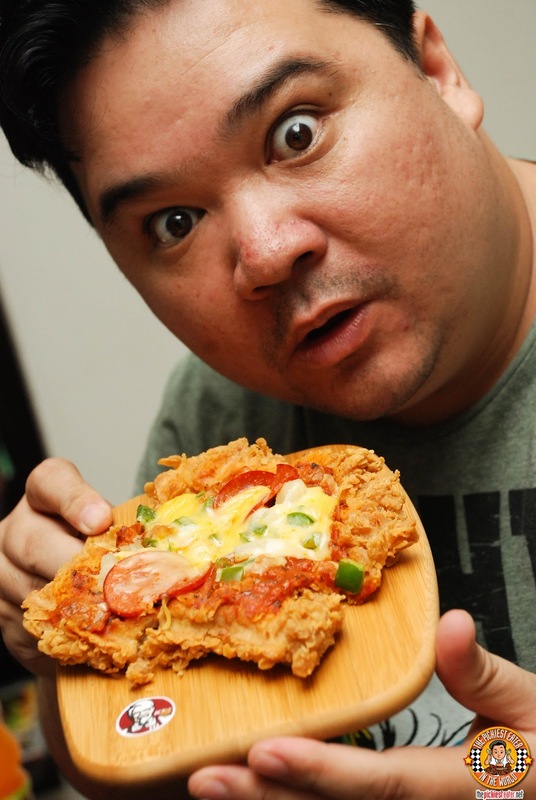 It actually does succeed in capturing the taste of the pizza, effectively confusing my taste buds. I was left confounded whether I should eat it with rice or not, with the familiar texture of the chicken causing my memories to crave for it. Apart from pizza, I think the best dish to compare this to is Chicken Parmigiana. So if you like Italian food, then this is right up your alley. lemme know what ya think!